Hyatt Hotels Corporation on Wednesday announced the launch of a public bug bounty program that covers its websites and mobile applications. Hyatt and its affiliates operate over 750 hotels in more than 55 countries. The Chicago-based hotel operator disclosed two payment card breaches in the past years: one in 2016, which impacted 250 properties worldwide, and one in 2017, which hit over 40 hotels in the Americas and Asia. Following these data breaches, the company teamed up with bug bounty platform HackerOne for a private program. It has now decided to open its bug bounty program to the public. 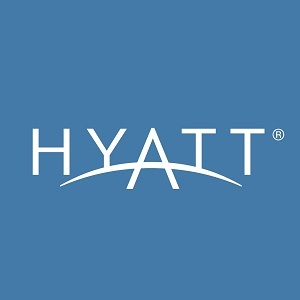 Hyatt’s program covers the hyatt.com and world.hyatt.com domains, along with its Hyatt Hotels mobile applications for iOS and Android. Researchers have been invited to find and report various types of vulnerabilities, including authentication bypass, backend system access, origin IP discovery, container escape, data exposure, SQL injection, cross-site scripting (XSS), firewall bypass, cross-site request forgery (CSRF), and automated account checking issues. Critical vulnerabilities can earn bounty hunters up to $4,000, while high severity issues can fetch up to $1,200. Medium and low severity flaws can be worth a maximum of $600 and $300, respectively. The hotel has promised to respond to reports and triage them within one business day. Payouts should be expected within 30 days for critical vulnerabilities, 60 days for high severity bugs and 90 days for medium severity weaknesses.